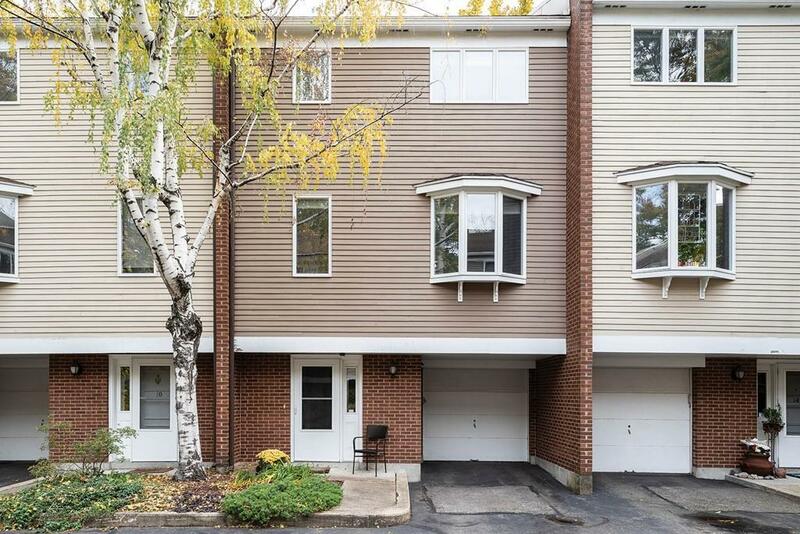 Located on a private cul-de-sac in the heart of Coolidge Corner, this meticulous 3-bedroom, 2.5 bathroom townhouse with garage parking has it all! Open floor plan on the main level, includes a gracious living room with tall ceilings, separate office area, and dining room. Kitchen features granite countertops, gas range with stainless hood, breakfast bar, and outdoor balcony with hard-piped gas grill. Second floor offers a master bedroom with walk-in closet and en-suite bathroom, a second bedroom with en-suite bathroom, in-unit laundry, and pull-down attic access for additional storage. The third bedroom is on the ground floor and overlooks a large private patio perfect for gardening and outdoor entertaining. Central air conditioning. Direct-entry 1-car garage and one outdoor parking space. Two common guest parking spaces. Pet-friendly association. Outstanding location, convenient to shops/restaurants, green âCâ line, schools, parks, and the Longwood Medical area. A true urban oasis!